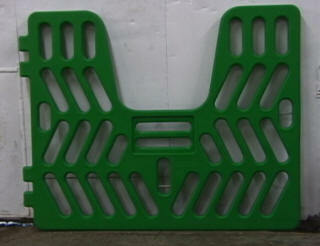 EquiGym is proud to distribute the Aerohorse Plastic Stall Gates. 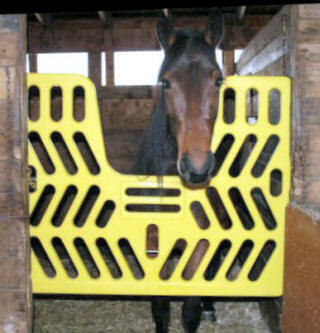 These durable stall gates are lightweight, no sharp corners, and most importantly, indestructible by the horses. 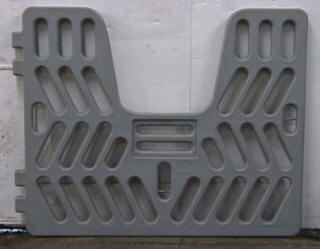 Fits inside a standard 4 foot stall opening. 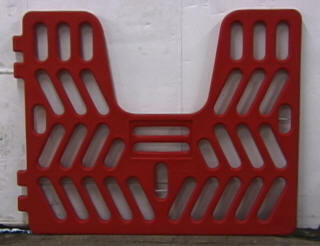 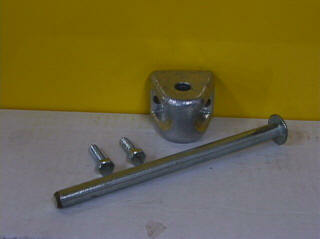 The Aerohorse Plastic Stall Gates have a lifetime warrantee and include the hardware shown below. 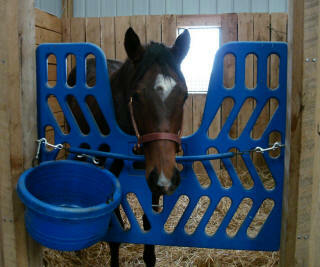 They are quick and easy to take down for cleaning by simply pulling the pins out to release the gate. 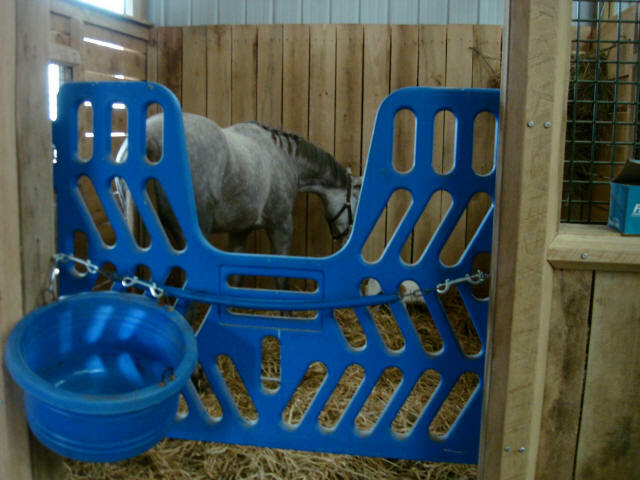 These plastic stall gates come in a variety of colors; Royal Blue, Red, Green, Grey, Yellow and White, Navy Blue, Forest Green, colors can also be custom matched.